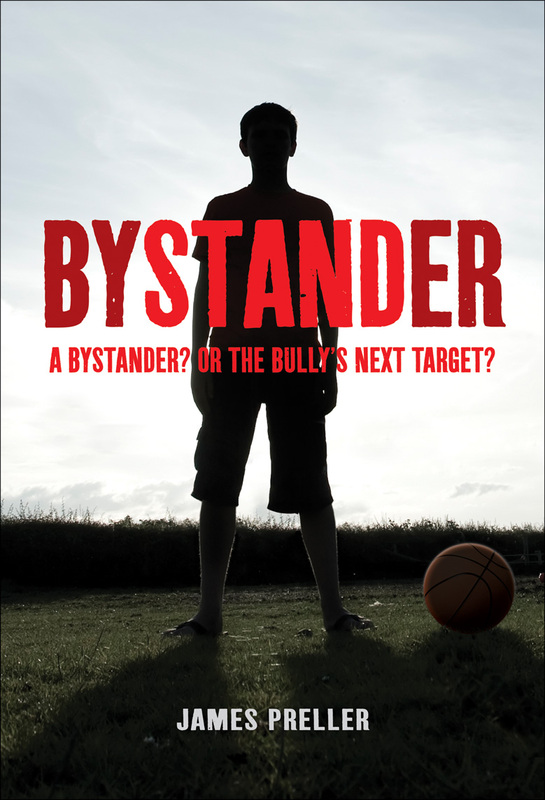 Good news for schools interested in using Bystander as part of a “One Book, One School” program, or on Required Summer Reading lists, or as part of an anti-bullying initiative: The book will be available this May in paperback. Take a look at the new cover . . .
“Preller has perfectly nailed the middle school milieu, and his characters are well developed with authentic voices. The novel has a parablelike quality, steeped in a moral lesson, yet not ploddingly didactic. The action moves quickly, keeping readers engaged. The ending is realistic: there’s no strong resolution, no punishment or forgiveness. Focusing on the large majority of young people who stand by mutely and therefore complicitly, this must-read book is a great discussion starter that pairs well with a Holocaust unit.” —School Library Journal, Starred Review. “Plenty of kids will see themselves in these pages, making for painful, if important, reading.”— Publishers Weekly. “Should be required reading for students in middle school or just getting ready to enter middle school.” – Literate Lives.